What would you take with you? Who would you save? And who would you leave behind? Henry Willingham and his friends have three days to make the most terrifying decisions of their lives. The world has been infected by an inescapable living nightmare of alien vegetation that will replace all life on Earth. They have to get everyone they love safely underground into a fallout shelter. Agonizing decisions must be made. There's not enough time. There’s not enough room for everyone. Who will they save? Who will they leave behind? How will they live with what they’ve done? After hiding underground for a year, the last three survivors must brave the otherworldly infestation and travel through what used to be upstate New York struggling for their lives and their humanity. “No, don’t do that. I don’t want you to tell me. That kills the question. Live with it. Let that itchy problem rest its greasy unwelcome hands on you. Don’t even decide in your own private mind! Inhabit that moment of unfulfilled in-between: Are you in a cave, or in the Universe? Investigate! Look! When you think you know, let that go, count to ten and hunt for the answer again. It looked like the Cornucopia had taken over the whole world. Our old green and brown trees were dead and dying, replaced by a new alien vegetation. They couldn’t hear any birds singing. The concrete of the sidewalk itself was split by the thunderous roots of Cornucopia Blue. 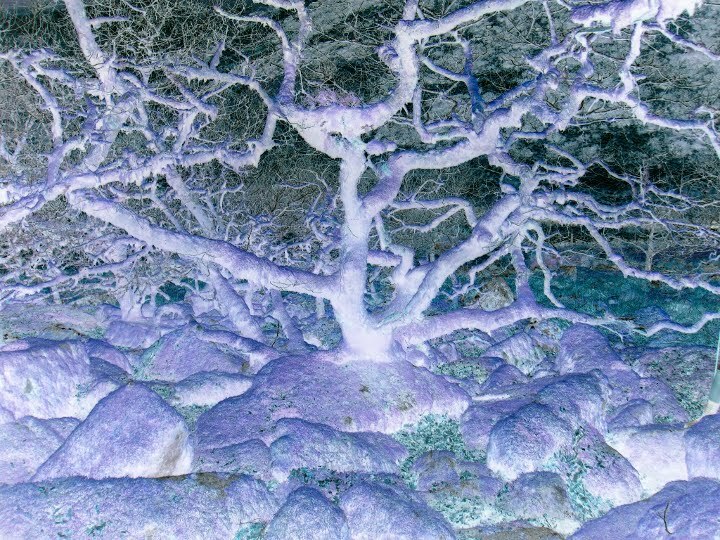 The perverse invading tendrils were as wide and thick as tree trunks and as heavy as dead stone. This was an invasion which looked like it had been there for years, even though it could only have been growing for weeks or months. How much bigger were the plants going to grow? Henry found himself thinking about the ruins he’d seen years before in the jungles of Mexico. He remembered knotted jungle trees growing between the gray stone steps; the trunks jutting up from the backs of the statues, mature roots wrapped around the carved images of Aztec serpents and jaguars and gods. The jungle was deep with blue and purple ferns. Where they were green it was a wrong green, a foreign green, a shade better suited for neon signs than nature. The pattern in their edges reminded Samantha of fractals or DNA. It was like they were showing off, bragging. The beautiful shapes made everyone feel vaguely ashamed. It was threatening. The extraterrestrial fruit was heavy and thick. They could smell the sweet juice inside. It smelled salty and made their mouths water. Blue skin leaked orange liquid in heavy drops which painted the brown sickly grass beneath it. It would have been wonderful if it all didn’t just feel so wrong. It was a beauty at their expense, a beauty that mocked them. Cornucopia Blue was stronger than any life on Earth. It was healthier, more beautiful, and it wanted to live more than the life on Earth did. Every gorgeous form in the mass of alien life was a challenge thrown down at the collected aeons of evolution. Life’s rich pageant had been surpassed and was in the process of being replaced. The worst part, the most obvious and terrible truth, was that the trees and the flowers, the butterflies, the elephants, lions, and tigers, were being moved out so that something better could have the space. A group of survivors marched through the ruins of upstate New York. Their bellies ached. Their shirts hung around their thin waists like flags whipping in the wind. Samantha had wanted to lose some weight after the baby, but now her face was sharp and gaunt. The last time she’d seen her reflection she’d thought she looked like a mummified corpse. Her blonde hair was longer now than she’d ever worn it, but it seemed even longer than it really was because her body had become so much smaller. As the group walked, Laura stopped. She was staring at the fruit. Henry saw her and knew what she was about to do. “Have you ever heard the story of Tantalus?” he asked her. “He was a Greek king. Tantalus invited the gods to dinner. This was back when they still talked to humans. When the gods got there they made pigs of themselves; gobbling and chewing and devouring the food as fast as Tantalus’s servants could bring it. King Tantalus was running out of food, so he went back into the kitchen to see what he could do. He didn’t want to disappoint the gods. So, he told his servants to take his youngest son and chop him up. The cooks paused for just a moment, and then they did as he ordered. They made the boy into a stew and served it to the gods. Zeus, and Athena, and Ares and everyone - when they saw what he served them - they wouldn’t eat it. They were furious that he’d tried to turn gods into cannibals. “Just let me eat a little bit,” Laura reached out and picked the fruit from the branch. The sun was high and the air was hot. Everyone was too exhausted to try to physically restrain her. She understood perfectly well what would happen if she ate the blue skin - if she tore it with her teeth - if she took the orange, soft, delicate heart of the fruit and plunged her tongue into it. She knew what would happen if she swallowed the deliciousness; and she made a conscious decision that it would be worth it. Everyone understood. Horror is easy to accept. Paperback available at CreateSpace , Barnes and Noble and Amazon.com. 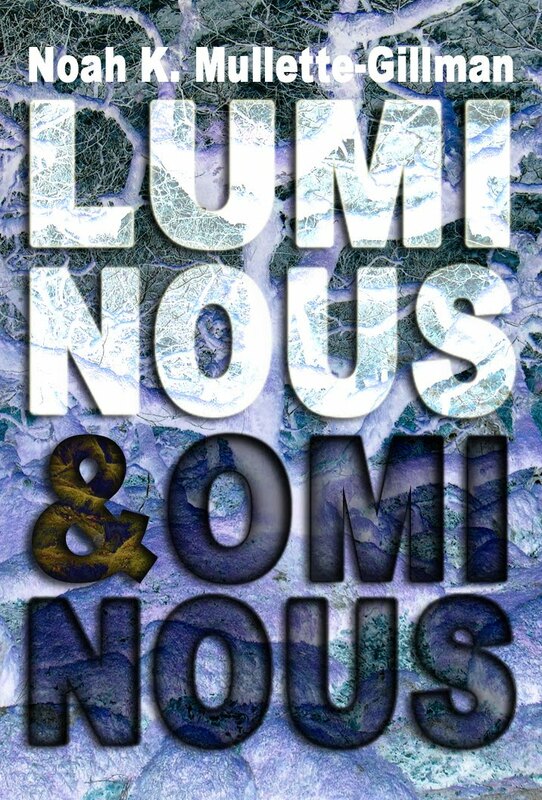 Subpages (1): Win a free digital copy of Luminous and Ominous!